Treats two legs at once. Same basic machine and parts as “Trainer”. 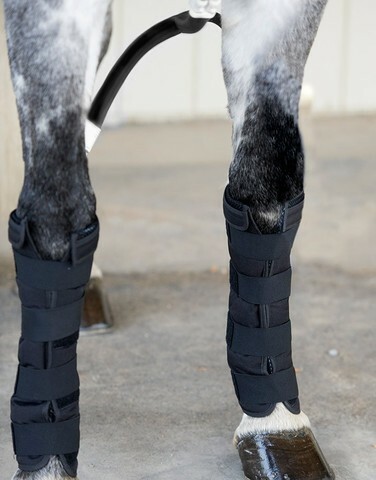 Includes a hock, pastern, fetlock treatment pad, and sport bag to contain the system. 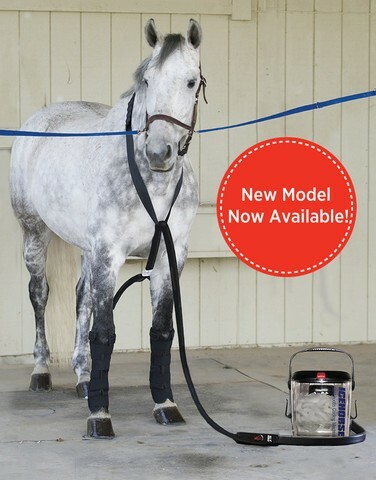 Includes splitter, thermometer, insulated hose, two rectangle pads and two insulating compression bandages. 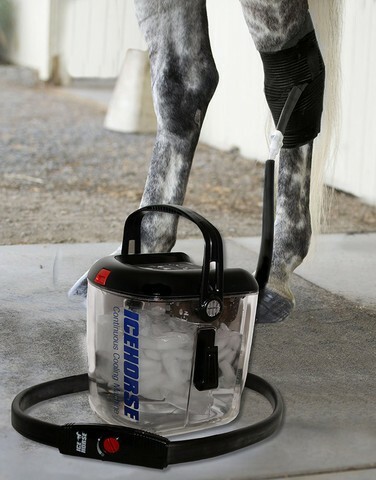 Passive constant compression to assist tendon and other soft tissue repair.